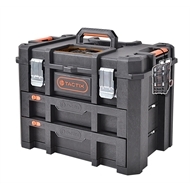 This portable 2 drawer tool chest is ideal for all worksites, garages and around the home. 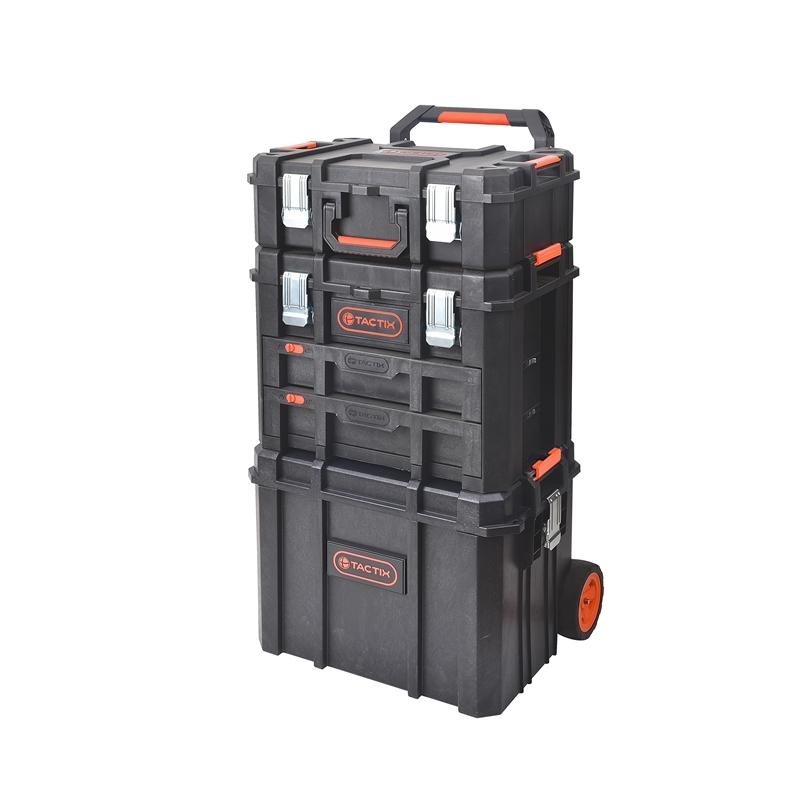 Ball bearing drawers with dividers, provides the freedom to customise your tool storage. 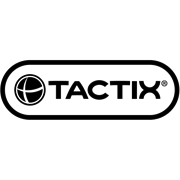 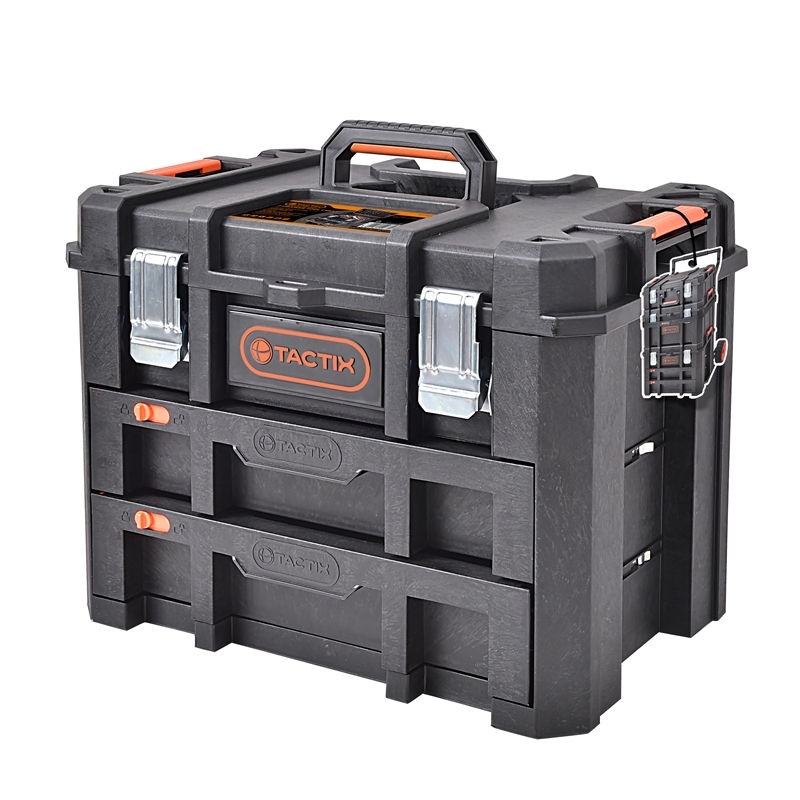 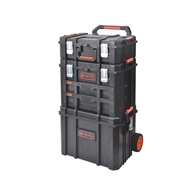 Interlocking side latches allows for extra tool storage, by connecting additional Tactix modular units (sold separately).